Article reviews FDA guidance documents released in the past few months including the new Final FDA guidance on biocompatibility released June 16. The last time I reviewed an FDA guidance document was in February for the new guidance document from the FDA related to usability engineering and human factors engineering. There was a new final FDA guidance document released by the office of device evaluation on June 16: “Use of ISO 10993-1“.This biocompatibility guidance was expected for release in December, but the release was delayed. In addition to FDA guidance documents, the FDA also released a final rule on symbology that will modify 21 CFR Parts 600, 801 and 809. The FDA is finally changing its position on acceptance of harmonized symbols in lieu of English text. The FDA is accepting ISO 15223-1 as a recognized standard and allowing manufacturers to use the symbols instead of English text in order to facilitate global harmonization of labeling. The FDA is only allowing the use of Rx-Only as to indicate that a product is prescription only. The guidance even defines the acceptable process for creating new product-specific pictograms. The effective date of the new final rule will be September 13, 2016. The second two FDA guidance documents focus on materials that are important for orthopedic manufacturers, because UHMWPE is used as a wear surface for join implants and many of the implants and instruments are now being manufactured using additive manufacturing instead of forging, casting or milling bar stock. (j) an instruction to check the Instructions For Use for what to do if the sterile packaging is damaged etc. These new requirements will require many manufacturers to redesign labeling for sterile packaging and the ability to use symbology will assist in creating globally harmonized labeling. This article presents a Pareto Analysis of FDA 483 inspection observations from FY 2015 and compares the trends observed with a similar Pareto analysis that was performed a couple of years ago on FY 2013 data. The FDA posts Excel spreadsheets on it’s website in order to download data for FDA 483 Inspection Observations. These spreadsheets include inspection results for all the divisions of the FDA. In order to perform a data analysis for FY 2015 results, I deleted the sheets that were not specific to medical device manufacturer inspections (i.e., only used data from CDRH). I sorted the data by the regulation that was referenced. For example, all the sub-clauses for 21 CFR 803 were combined into one category for the Pareto analysis. The combined categories were then sorted from the most frequent 483 inspection observation to the least frequent 483 inspection observation. The data was then added to the graph that I produced in February 2014 using FY 2013 results as a second data set. The resulting graph is shown above. For MDR Compliance (i.e., 21 CFR 803), there was a slight increase in the number of 483 observations issued from FY 2013 to FY 2015. However, the difference was only a 1% increase from 6.2% to 7.2% of the total number of 483s issued. There was an even smaller increase in the number of findings related to purchasing controls (i.e., 5.6% increased to 6.1%). I noticed a slight drop in the number of findings related to design controls, CAPA and complaint handling. However, the overall trend for FY 2013 and FY 2015 is essentially the same. There are two other categories where an increase was observed: 1) process validation increased by 0.7% from 4.8% to 5.5%; and 2) control of nonconforming product increased 0.8% from 4.3% to 5.1%. These areas are important. Control of nonconforming product is one of the major sources of CAPAs and often results in design changes. Therefore, FDA inspectors are reviewing your data for nonconforming product during inspections in order to help them identify potential CAPAs and design changes that may have been made. The typical sequence is: 1) nonconformity, 2) investigate nonconformity as part of a CAPA, and 3) initiate a design change as a corrective action. Process validation is a completely different area that is separate from CAPA, complaint handling and MDRs. However, inadequate process validation is a common root cause for nonconformities. Therefore, inspectors often follow an audit trail from a nonconforming product record back to a process change that was implemented but inadequately validated. Therefore, an increased focus on nonconformities may be the reason for an increase in FDA 483 inspection observations related to process validation. This proves that the FDA inspectors continue to be predictable. The “playbook” for FDA inspections is the QSIT Manual. It hasn’t changed since 1996. Yet, companies continue to be shocked and amazed by FDA inspectors. If you want to learn how to prepare for FDA inspections, I recorded a webinar you can download (FREE). I recorded the webinar in May of 2014, but it’s been a couple of years and I’ve learned a few new tricks. Therefore, I’m going to re-record the webinar and update it for lessons learned. I’ll even share a few tools and approaches to avoid findings and reduce the risk of warning letters. I’m even evaluating a new application that is designed for teams to have private chats and file sharing during an inspection. Stay tuned to my webinars page and I’ll post that webinar soon. Maybe I’ll record something from Germany next month. Until then, I am working on an webinar specific to medical device reporting. Many companies have still not updated their MDR procedures to reflect the eMDR process using electronic submissions gateways. Therefore, I’m releasing an updated procedure for MDRs and I am offering a webinar bundle to train people how to comply with 21 CFR 803 and the procedure. You might also be interested in my previous webinar specific to control of nonconforming product. 483 Response: Which corrective action plan should you write first? Article explains how to determine which FDA Form 483 response you should write a corrective action plan for first and why. Companies that have not experienced an FDA inspection before worry too much and prepare too little. Inspections are predictable and certain inspection observations are much more common than others. A couple of years ago I wrote an article analyzing the most common FDA inspection observations. The most common observations are specific to design controls (i.e., 21 CFR 820.30). However, this fact is distorted because many companies receive multiple observations during the same inspection related to design controls. For example, a client of mine recently received three from one inspector: 1) lack of design reviews, 2) lack of design validation, and 3) lack of risk analysis. All three were found during the review of the same design history file and the one corrective action addresses all three observations. The second most common observation is specific to corrective and preventive actions (i.e., 21 CFR 820.100). Typically the company has inadequate procedures for verifying and validating effectiveness of corrective actions taken. If this is one of your FDA 483 observations, then you may have a problem with CAPA training or with the design of your CAPA form. If there is no place on the CAPA form to document your effectiveness check, then you might easily forget to perform the verification and validation of effectiveness. Another possibility is that personnel are confused between verification of implementation and the verification of effectiveness. What if you have multiple FDA 483 observations? Other common FDA 483 observations include medical device reporting, complaint handling and rework of nonconforming product. If you receive more than one FDA 483 inspection observation, you need to assume there is a chance that the inspection outcome will be “Official Action Indicated” (OAI). In this case, you need to provide a 483 response to your FDA district office within 15 business days. With such a short time to prepare your 483 response, you need to be efficient. Which 483 response should you initiate first and why? If one of the inspection observations is related to the CAPA process, that 483 response should be your top priority. The reason for this is that the FDA will want to see objective evidence of implementing corrective actions whenever possible. If you use your CAPA procedure and form to document the 483 response, then you can show the FDA how the revised procedure or form will be used in your 483 response. If you write your 483 response for other inspection observations first, then the other 483 responses are using the existing procedure or form that the identified as inadequate. Your first step should always be to implement corrective actions to address an inadequate CAPA process by revising the procedure or the form. Once the procedure or form is updated, then you can use the new process to document the rest of your 483 responses. If you need help preparing an FDA 483 response, click here for our webinar explaining the 7 steps for responding to an FDA Form 483 inspection observation. You can also download a CAPA procedure and CAPA form from our SOP page. Yesterday, February 3, the FDA released a new guidance document on the subject of “Applying Human Factors and Usability Engineering to Medical Devices.” This is a final guidance document that replaces the previous version that was released in 2000 and the draft that was released in 2011. The diagram below is Figure 3 from this new FDA guidance, and it includes references to sections 5 through 9 of the guidance document. What’s in the new FDA Guidance on Usability Engineering? Click here in order to download the new FDA guidance. The organization of the guidance is similar to an ISO standard. Section 1 is the introduction. Section 2 is the scope of the guidance. Section 3 includes definitions, and Section 4 provides an overview of human factors engineering and usability engineering as these concepts apply to medical devices. Sections 5 through 9 of the guidance explain the details of the process for applying these concepts to medical devices and risk management. The guidance document includes six references to national and international standards that include human factors engineering or usability engineering, and there are 19 references to articles about human factors engineering and usability engineering at the end of the guidance document. The steps in the process for human factors engineering and usability engineering mirror the risk management process as defined in ISO 14971 except this guidance does not specify developing a risk management plan or the need to create a risk management file. Identification of hazards related to use errors is the first step. Then risk controls are implemented in order to reduce risk of harm due to use errors. The risk controls are verified and validated, typically through simulated use studies or clinical studies. Therefore, you should be able to integrate usability engineering into your risk management process by specifying that hazards should include use errors, environment of use and the device/user interface. The risk controls section does not need to be revised, but the verification and validation of risk controls needs to include simulated use and/or clinical studies in order to verify that risk controls specifically reduce the risk of use errors. It might also be useful to specify that the environment for use should be included in simulated use studies. Clients often ask me what they need to do with regard to human factors engineering and usability engineering for documentation in their technical file and design history file. I recommend that they create a usability engineering report based upon ANSI/AAMI/IEC 62366. However, companies often do not want to purchase the standard, and they seldom have time to read and understand what the standard is recommending. Now we have a free guidance document that is available from the FDA. Therefore, I recommend that you create a template for your usability engineering report based upon this new guidance. If your company makes many types of products with multiple hazard types, then you will need a somewhat generic report template. However, companies with only one or two device families should be able to pre-populate a report template with the sections for specific categories of hazards that are applicable to their device family. Once you have a template, this can be used to create a usability engineering report during the design process for any new medical device you are developing. The bulk of human factors engineering and usability engineering is documented in the risk management file. Risk management documentation is only required for FDA submissions that include: 1) software of moderate level of concern or higher, 2) De Novo applications and 3) PMA submission. If you have a non-software device for which you are submitting a 510(k), then you do not include a risk analysis with your submission. Therefore, the only way that the usability factors are addressed is by reviewing the simulated use validation of the device and the instructions for use. It is still critical that design teams address usability engineering, however, because identifying use errors and implementing risk controls to eliminate use errors will prevent product complaints and adverse events. If these issues are not addressed during the design of a new product, corrective actions and possibly recalls will be needed after product launch. FDA inspectors will also identify weaknesses in your risk management activities when they identify complaints that are not addressed in your risk analysis. If you need help with applying human factors engineering or usability engineering to design your medical devices, please contact me. Handle FDA inspector egos and incompetencies during an audit of your facility–including requests for exempt quality system records. This is not how to handle FDA inspector or auditor! This topic was submitted to my suggestion box from a colleague in Australia. Originally I posted this as an announcement for my LinkedIn Group, but the post was limited to ISO certification body auditors and excluded FDA inspectors. The basic approach is the same, but there are some important nuances regarding how to handle FDA inspector incompetencies and ego that I am including in this article. In general anyone that works for the FDA is genuinely concerned about public health and welfare. They also have a very low tolerance for unethical behavior. This has not always been the case at the FDA and the agency has fought hard over the past twenty years to eliminate anyone from their ranks that is not ethical. Therefore, if an FDA inspector thinks that you have something to hide the best approach to handle FDA inspector concerns is to give them anything they ask for–and quickly. The FDA can learn almost everything they want to know by reviewing CAPAs that resulted from Management Reviews, internal audits and supplier audits. However, some FDA inspectors will still ask to see records that are part of the quality system record exceptions (i.e., 21 CFR 820.180c). Some quality system managers design cover sheets for these three records to specifically show FDA inspectors only the information that they are entitled to. If I am faced with this situation, I handle FDA inspector requests for restricted quality system records in the following way. The above approach is intended to convince an FDA inspector that you have nothing to hide, but it also requires that you review and edit your records prior to approval and archiving to make sure that statements made in the records are appropriate–regardless of the audience reading the record. 100% of auditors are a little weird (yep, takes one to know one). You travel for a living and tell people what’s wrong with their quality system. If you don’t start out drinking scotch, you probably will eventually. However, a little patience, understanding and over communication helps. For example, provide directions (that are accurate). Recommend a hotel (middle of the road, not the Ritz or a flea bag). Tell them about the corporate discount. Ask them in advance if they have food allergies (I’m gluten-free, and not by choice), and then try to remember not to serve only the things they are allergic to (yes, Panera Bread is a crappy choice but a gluten-free pizza is heaven). If Uber makes sense recommend it, because nobody wants to negotiate with Payless Rent-A-Car at 11:59pm. FDA inspectors are in the same situation as auditors with regard to being travel weary. However, FDA inspectors will probably not take your recommendation for a hotel. Instead they will follow FDA guidelines and stay at a hotel chain where they prefer to accumulate membership points and they can get a government employee discount. In addition, FDA inspectors will not eat at your facility. It seems as though a few companies entertained FDA inspectors at clubs and fancy restaurants in the past. In order to eliminate any possible perception of unethical behavior, FDA inspectors are now instructed to leave your facility for lunch and return to complete the day. They probably won’t even accept a cup of coffee unless you place a carafe on the table for everyone to drink. You can also count on the FDA inspectors driving a rental car if they do not live locally. Everyone has an ego. Auditors typically have a big one, and a few FDA inspectors do too. I’m not shy, I’m smart and I love a good debate. If I’m you’re auditor, you’re lucky because I’ll admit when I’m wrong or make a mistake. Most auditors will not admit mistakes. In fact, the stronger they argue a point the more likely that they are insecure on the topic or that they have a personal preference that is a result of a bad experience. Unfortunately, FDA inspectors seem to be even more likely to argue a point when they know very little experience. Don’t ask FDA inspectors and auditors to prove something is in the regulations or the standard. Instead, try reading Habit 5 by Covey (7 Habits of Highly Effective People). You need to be an empathic listener. The FDA inspector or auditor doesn’t hate you. They might even be trying to help you. They also might be wrong, but try restating what the person is saying in your own words and try explaining why it’s important. This shows them that you were listening, you understand what they said and you understand how they feel about the issue. Pause. Then tell them how you were trying to address this issue. One of the areas where the above approach is especially important is when and FDA inspector is reviewing complaint records and medical device reports (MDRs). You want to convince the FDA inspector that you are doing everything you can do to investigate the complaint or adverse event and you want to prevent recurrence. Remember that someone was hurt by your device or misuse of your device, and FDA inspectors take public safety very seriously. You will not be able to handle an FDA inspector that believes you are doing less than you could be. FDA inspectors rarely have industry experience, but they know the regulations. Therefore, arguing the regulations with an FDA inspector is a huge mistake. The only frame of reference for “industry best practice” is what the FDA inspector has seen at other device manufacturers they audit. Therefore, it is very import to know how experienced your FDA inspector is. If they don’t have a lot of experience they will be defensive and you might need to “educate” them. During ISO audits you have less time to retrain your auditor. Don’t even try. I do this for a living and we’re a stubborn bunch of orifices. Instead, try the empathic listening first. 99% of the time one or both of you is not communicating clearly. Either they can’t find what they are looking for, or they misunderstood what you were telling them. It could be a difference of interpretation, but it’s probably not. If it is, then say “We were interpreting that requirement as…”. Say this once. If they argue, let it drop for now. You shouldn’t just take incorrect findings lying down. Do your homework. Send me an email. Get help. If you’re right, then contest it at the closing meeting in a factual and persuasive way. If the auditor holds their ground, ask what the policy is for resolving disputes. This is supposed to be covered as part of the closing meeting of every audit. If your auditor is just lazy, sloppy and incompetent–request a new auditor. You might even disagree in writing, address the finding anyway and then request the new auditor. That shows the management of the certification body that you’re not lazy, sloppy or incompetent. FDA inspection 483 observations are a little different. If you and the inspector disagree you should state this in the closing meeting when they give you the 483 observation, and you should be clear that you disagree prior to end of the inspection when they start preparing FDA Form 483. Once a 483 observation is issued, however, your only recourse is to persuade the district office that the 483 observation is undeserved. The FDA district office will have copies of all your procedures and records and a copy of the FDA inspector’s notes. Be careful with complaints to the district office though. FDA inspectors are far more likely to retaliate than ISO auditors. If you make a habit of disputing everything, your auditor or FDA inspector will come prepared for war. You also will have little credibility with the managers at the certification body or the FDA district office. Dispute only things that are justified and provide a written, factual justification that is devoid of all emotion. If you do receive FDA 483 observations, it is important that you respond with well-conceived corrective action plans. If you need help with responding to an FDA 483 inspection observation, you might be interested in my webinar on this topic. This article shows you how to think strategically when you plan a mock FDA inspection to ensure that you successfully prevent an unpleasant FDA inspection. For the past couple of years several, clients have asked me to conduct mock FDA inspections in order to prepare them for a potential FDA inspection. In fact, I am writing from Shanghai, China where I am conducting a mock FDA inspection for a medical device client with another auditor from the company’s business unit in the USA. The mock FDA inspections I conduct are actually internal audits and technically not an inspection, because inspectors are looking for nonconformities and I am looking for conformity with the FDA regulations (i.e., 21 CFR 820, 21 CFR 803 and 21 CFR 806). Inspections are conducted by FDA investigators that are conducting an inspection in accordance with the FDA QSIT manual (http://www.fda.gov/ICECI/Inspections/InspectionGuides/ucm074883.htm). I use the process approach to conduct audits of the 4 major quality systems that FDA inspectors focus on during an FDA inspection, but as an auditor I have several advantages that an inspector doesn’t. I can evaluate auditees and coach them on how to respond to an FDA inspector more effectively. I can teach my client’s internal auditors and management team how to use internal audits and Notified Body audits as practice for their next FDA inspection. I can avoid any area that my client wants me to and focus on areas of concern. I can help my client identify the most likely product or product family to be targeted by the FDA. I can give my client advice and help them implement corrective actions. I can teach my client how to respond to potential FDA Form 483s in order to avoid a Warning Letter. FDA inspections are not planned, but it is important to make sure that the right people are available and present during a mock FDA inspection or your “inspector(s)” may not be able to review the records or interview the most important people. Therefore, I provide an agenda ahead of time indicating which processes I will be auditing on which days. My agenda of a mock FDA inspection begins with an opening meeting, but the purpose of this opening meeting is primarily training. I take advantage of having all the senior managers in one room as an opportunity to explain how they can benefit most from the audit, and to remind them of what to expect during a real FDA inspection. After the opening meeting, I take a brief tour—unless I already know the facility well. Before I leave for the tour, I ask my client to be prepared for me to begin auditing nonconformities, complaint handling, MDRs and recalls when I return to the conference room. I select these areas, because the FDA always starts with the CAPA process, but they look closely at the sources of CAPAs at the same time. I believe that inspectors rarely take “random samples.” Instead, most inspectors use the sources of CAPAs to help them bias there sampling of CAPAs. The next major process in my agenda after CAPAs and sources of CAPAs is production and process controls. The sequence of my process for auditing this area is always the same: 1) request the Device Master Record (DMR) for the target product or product family, 2) request two or more recent Device Master Records (DHRs) that were associated with a complaint record or MDR (remember samples are never random), and 3) I then go to the production areas identified in the DHR and I try to interview the people that actually produced the lot identified in the DHR—rather than the people the department manager feels are the most experienced. This process of working backward from complaint records and MDRs to the activities on the production floor often allows me to help companies identify a root cause that they missed when the complaint or MDR was originally investigated. Auditing a Design History File (DHF) is about as exciting as watching paint dry for most auditors, but I am always fascinated with how things work so I am more engaging with the design team members I interview during a mock FDA inspection. I also like to focus on aspects of the design that have proven to be less than perfect—by reviewing nonconformities, complaints, MDRs, recalls and CAPAs first. For example, if I see several complaints related to primary packaging failures, I am going to spend more time reviewing the shipping validation and shelf-life testing than I might normally allocate. The FDA is somewhat limited in this area, because in accordance with 21 CFR 820.180(e) the records of internal audits, supplier evaluations and management reviews are exempt from FDA inspections. During a mock FDA inspection, I do not have this constraint. Therefore, I will often look more closely at these three areas than an FDA inspector to make sure my client has effective management processes. While procedures and schedules are the focus of and FDA inspector, I will make sure that the problems I observed in nonconformities, complaints, MDRs and recalls are being addressed by management. As a quality manager this is not always easy to do, but as an independent consultant I have the luxury of being blunt when a senior manager needs to hear from someone other than the typical “yes men.” I also am able to use this part of mock FDA inspections to benchmark best practices I have learned from the hundreds of companies against what my client is currently doing to manage their quality system. Scheduling a mock FDA inspection immediately after an FDA inspection is pointless, but there is an optimal time for scheduling your mock FDA inspection. The FDA target is to conduct inspections once every two years for Class II device manufacturers. However, some district offices do better or worse than this target. Therefore, it’s important to keep track of the typical frequency in your district and the date of your last inspection. If the FDA is on a two-year cycle, you want to conduct your mock FDA inspection approximately 6-9 months prior to the next FDA inspection in order to ensure that you have time to implement corrective actions before the FDA inspector arrives. The inspector could also ask for copies of inputs that are identified in the Management Review procedure, such as: “Could I have a copy of the most recent scrap trend analysis for production?” or “What is your threshold for taking corrective actions for rejects found in receiving inspection?” One Quality Manager told me a fascinating story about his local inspector. During a previous inspection, the inspector requested a copy of the management review. The Quality Manager showed him the cover page that indicated the agenda and the attendees. The Quality Manager refused to let the inspector see the rest of the meeting minutes. The inspector then proceeded to conduct a brutal 3-day inspection where a myriad of 483’s were written. Twelve months later the inspector returned to perform a “Compliance Follow-up.” This time when the inspector asked to see the management review, the Quality Manager agreed to let the inspector see the entire meeting minutes. From that point onward, each time the inspector got close to identifying a new 483’s the inspector would stop following the audit trail at the last moment before the nonconformity was identified. The Quality Manager said it was almost like the inspector was showing him that he could find all kind of problems to write-up if he wanted to, but he was taking it easy on the company because the Quality Manager was being cooperative. My personal philosophy is to create a QMS that is open for review by any customer, auditor and even the FDA. No matter what they find, it’s just another opportunity to improve. This has worked well for me, but you need to follow a few basic rules when writing audit reports and management review meeting minutes. I ask other people in the management team to read and review the meeting minutes before they are finalized. The variety of perspectives in top management helps to make sure that the final document is well written and clear—especially to FDA inspectors. I structure the documents as per a standard template that is a controlled document. This ensures that each report or management review was conducted as per the procedure. In fact, I typically reference the applicable clauses and sub-clauses throughout the document. For example, I will reference ISO 13485:2003, Section 5.6.2h) for the slide titled “New and Revised Regulatory Requirements.” I put the reference next to the slide title just to make it clear what requirement this slide is addressing. document when the area will be covered in future. You can continue to listen to the advice of consultants that think of creative ways to hide things from the FDA or you can follow the above advice. If you follow my advice, then you can spend the rest of your time working on the CAPAs for each area where you identified a weakness—instead of spending your time trying to hide your problems. If you need help preparing for an FDA inspection or responding to FDA 483 inspection observations or warning letters, please email Rob Packard. We have two people on our team that used to work for the agency. This article reviews FDA QSIT inspection requirements of design validation, and is specific to devices containing software. If the product selected has software, then the investigator is instructed by the FDA QSIT Inspection Manual (http://bit.ly/QSITManual) to consider reviewing software validation. Since inadequate software validation causes many quality problems with devices, you should be shocked if an investigator doesn’t review software validation of a device containing software. Software-containing devices are also the only devices that manufacturers are required to submit a risk analysis for when submitting premarket notifications (i.e., 510k submissions). Validation confirms that a device meets the user needs. Software validation is no different. In the case of software validation, the “device” is the final complete software program in the operating environment in which it is intended to be used (i.e., operating system and hardware), and the “” is the “software design requirements” document. Since failure of each module can easily result in multiple failure modes, the above approach to documenting design requirements and risk analysis is generally more effective than using an FMEA. This approach also has the benefit of lending itself to assessing risk each time new complaints, service reports and other post-market surveillance information is gathered. The use of a traceability matrix also lends itself to the early stages of debugging software modules and unit validation. Each software design requirement will typically have a section of code (i.e., software module) that is associated with it. That module will be validated initially as a standalone unit operation to verify that it performs the intended function. In addition to verifying correct function, the software validation protocol should also verify that incorrect inputs to the module are caught by the embedded risk controls for that module. The correct error code should be generated and applicable alarms should be triggered. Finally, after each individual requirement has been verified, the entire software program must be validated as well. When changes are made, the module and the entire program must be re-validated. Inspectors and auditors will specifically review changes made in recent versions to verify that revalidation of the entire program was performed–not just unit testing. You must also comply with IEC 62304, medical device software – software lifecycle processes. This is required for CE Marking as a harmonized standard, and recognized by the US FDA (http://bit.ly/Recognized-Consensus-Standards). One of the implications of applying IEC 62304 is that you must consider the risk of using software of unknown pedigree or provenance (SOUP). Each requirement of the software design requirements document will typically have a risk associated with it if the software fails to perform that requirement. These risks are quantified with respect to severity of harm and probability of occurrence of harm. Probability of occurrence of harm has two factors: P1 and P2 as defined in Annex E of ISO 14971:2007 (http://bit.ly/14971-Webinar). P1 is the probability of occurrence, and for software, we have two factors. First, the situation must occur that will trigger a failure of the software. Second, does the software have a design risk control that prevents harm or provides a warning of the potential for harm? P2 is the probability that occurrence will result in harm; P2 has one factor. P2 is determined by evaluating the likelihood that failure will result in harm if the risk control is not 100% effective. An investigator reviewing the risk assessment should verify that risk has been estimated for each software design requirement. There should be a harm identified for each software design requirement, or the traceability matrix should indicate that no harm can result from failure to meet the software design requirement. Next, the risk assessment should indicate what the risk controls are for each requirement identified with a potential for harm. In accordance with ISO 14971, design risk controls should be implemented first in order to eliminate the possibility of harm. Wherever it is impossible to eliminate the possibility of harm, a protective measure (i.e., alarm) should be used. Each risk control must be verified for effectiveness as part of the software validation. In addition, the residual risk for each potential harm is subject to a risk/benefit analysis in accordance with EN ISO 14971:2012, Annex ZA Deviation #4 (http://bit.ly/14971dev4). The international version, ISO 14971:2007 (which is recognized by the US FDA and Health Canada), allows companies to limit a risk/benefit analysis to only risks that are unacceptable. Therefore, the European requirement (i.e., EN ISO 14971:2012) is more stringent. Companies that intend to CE Mark medical devices should comply with the the EN version of the risk management standard instead of the international version for risk management. This article reviews FDA QSIT inspection requirements of design validation, and is specific to devices which do not contain software. In the FDA QSIT Manual (http://bit.ly/QSITManual), the word “validation” appears in the QSR 78 times. This exceeds the frequency of the word “verification,” “production,” “corrective” and the acronym “CAPA.” The word “validation” is almost as frequent as the word “management”–which appears 80 times in the QSIT Manual. The section of the QSIT Manual specific to design validation is pages 35-40. The FDA selects only one product or product family when they are inspecting design controls. Therefore, if you keep track of which products have already been inspected by the agency, you can often predict the most likely product for the investigator to select during the next inspection. The number of MDRs and recalls reported will have an impact on the investigator’s selection. Class I devices are not selected. The QSIT Manual instructs inspectors to verify that acceptance criteria were specified prior to conducting design validation activities, and that the validation meets the user needs and intended uses. There should also be no remaining discrepancies from the design validation. Inspectors must verify that all validation activities were performed using initial production devices or production equivalents. The last item to verify is that design changes were controlled–including performing design validation of the changes. Risk analysis is seldom reviewed in great detail–except software risk analysis. However, when nonconforming product is reworked, it is required to review the adverse effects of rework. 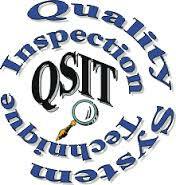 QSIT inspectors will expect you to document this review of risks. Investigators will also expect risks to be reviewed and updated in accordance with trend analysis of complaints, service reports and nonconformities. Finally, when companies assess the need to report recalls, the FDA expects to see a health hazard evaluation to be completed (http://bit.ly/HHE-Form). A detailed review of risk analysis is uncommon in QSIT inspections, but receives a greater emphasis in the review of CE marking applications. Have the most challenging devices been identified? Has performance been validated at the maximum sterilization dose? In the area of user needs and intended uses, there are few problems with the initial launch of devices for the intended use. Problems typically arise when companies expand the intended use to new patient populations and new intended uses. When this occurs, there may be new user needs and risks that need to be evaluated. Therefore, the FDA periodically reviews claims made by companies in marketing communications to ensure that claims do not stray beyond the cleared intended use of the device. This will sometimes be identified as a 483 inspection observation, and in certain cases, the FDA will issue a warning letter to a company that continues to market a device for uncleared indications. When investigators review validation protocols and reports, the documentation must include traceability to the production lot(s) of the device. Investigators may even request a copy of the Device History Record (DHR) for the production lot used for validation. If a production lot is not used, then the design validation documentation must disclose how the product differs from production lots, and why the results are acceptable. The samples used should be subjected to final test/inspection requirements. If final test/inspection requirements are not yet established, samples should be retained, so that they can be inspected at a later date. Without this traceability, you may have to repeat your design validation with a production lot. Many design validations require simulated use with a physician. Companies should obtain as much user feedback as possible before launching a device. Therefore, any re-validation that requires simulated use and user feedback should be a priority over writing a rationale for not conducting re-validation.